The old canard that “a little radiation exposure is good for you,” peddled by nuclear power advocates and nuclear waste generators, repeatedly needs refuting because the industry relentlessly downplays the dangers of radiation. It recently convinced the Environmental Protection Agency to weaken water pollution law and allow increased levels of radioactive poisons in our water. No David, the reasons are scientific and factual. 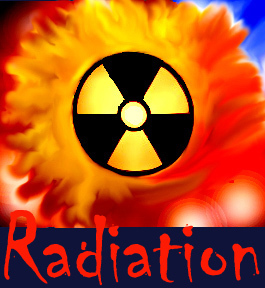 No less than the National Academy of Sciences has concluded that any exposure to ionizing radiation is dangerous. The NAS has found repeatedly that there is no such thing as harmless radiation exposure, no “threshold” dose below which the exposure is safe. No one need “simply assume” this. It’s a point of fact, made clear in the most comprehensive government studies of the dangers of radiation exposure, the National Academy’s seven BEIR reports (Biological Effects of Ionizing Radiation). Its most recent book-length study, “Health Risks from Exposure to Low Levels of Ionizing Radiation: BEIR VII,” was issued June 29, 2006. Consequently, every federal agency that regulates ionizing radiation warns that any exposure to radiation, no matter how small, increases one’s risk of cancer. But nuclear power promoters like those at the University of Wisconsin, Madison’s engineering department, particularly retired professors Michael Corradini and Max Carbon (his real name), still peddle the officially debunked “hormesis” theory: that low-dose exposures act like inoculations and help people build immunity to the damage done by radiation’s effects on cells. The conjecture is even applied to fetuses, infants, children, girls and women, all of whom were reported in the BIER-VII to be far more vulnerable to radiation’s harmful effects than the rest of the population. Dr. Carbon and Dr. Corradini have no background in health physics or medicine, and taught nuclear reactor engineering. Like business page columnists or nuclear industry investors, they know that the strengthening of radiation protection standards and strictly enforcing current anti-pollution laws will cost the nuclear industry hundreds of millions, if not billions of dollars. So for decades these vested interests have worked to weaken the regulations using the nonsense that a little radiation exposure won’t hurt you, and may even help. The late Herbert L. Abrams was chairman of radiology at Harvard Medical School and a member of the National Academy’s committee that produced BIER VII. He said when it was published, “There appears to be no threshold below which exposure can be viewed as harmless.” So when deciding about radiation, choose your experts wisely. Do you want health advice from medical doctors or reactor engineers? I am looking for an expert for ionizing radiation effects on medical workers. My husband worked as a clinical engineer in x-ray labs in hospitals for 40 years. The last 10 being in interventional radiology. He was diagnosed with diffuse large B cell non-hodgkins lymphoma in June of 2015. Our attorney needs an expert to prove that lymphoma can be caused by ionizing radiation. Please help if you can. You are right to be concerned. We will reply to you in private with more resources. We wish you both the best.